So What Is Positive Education? Positive education is the combination of traditional education with the study of happiness and well being, using Seligman's PERMA model and Values in Action (VIA) classification. Seligman has been working on incorporating positive psychology into education to decrease depression in younger people and enhance well being and happiness. "The VIA classification, however provides a cross-cultural relevant framework for 'educating the heart'" (Linkins et al., 2015, Pg 65, paragraph 2). Positive education programs usually define positive character as 'core character strengths' that are represented in the VIA's six categories of virtue. These positive characters are external constructs that need to be nurtured (rather than being innate). The goal of positive education is to help reveal and develop the child's ability to effectively engage their combination of character strengths (Linkins et al., 2015). 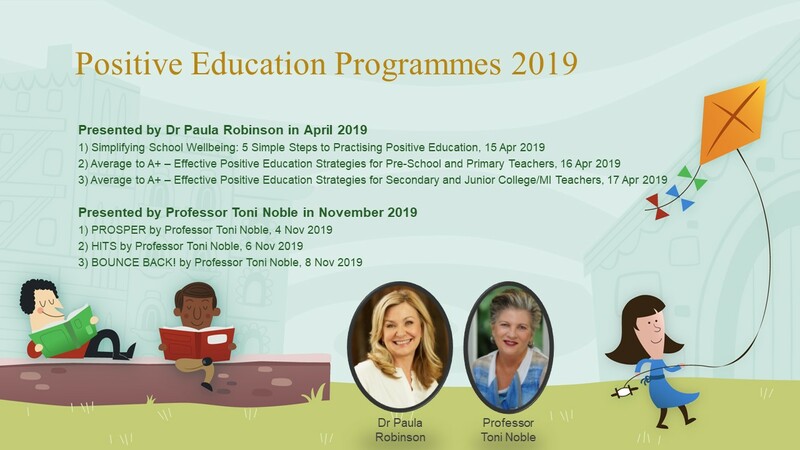 Principals Academy has invited two experts on Positive Education in the persons of Dr Paula Robinson and Professor Toni Noble to deliver their workshops in April and November 2019 respectively. Prior to becoming a Psychologist, Dr. Paula Robinson had 12 years' experience as a senior manager. Her responsibilities have included strategic planning and implementation, business development, staff recruitment/retention, advertising, marketing, and sales. Dr. Robinson then decided to focus on the growth of her academic pursuits and applying her practical knowledge and experience within the profession of Psychology. Paula is currently a registered, consulting Psychologist, speaker and Managing Director of the Positive Psychology Institute specialising in the science, application and integration of traditional Psychology and Positive Psychology. 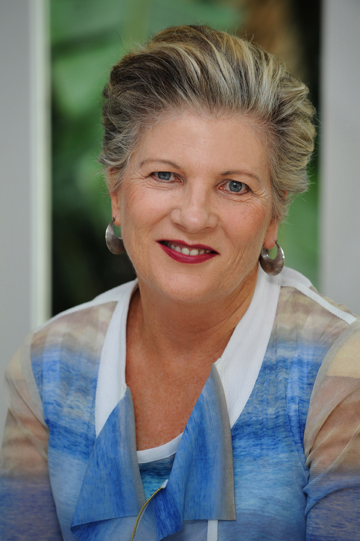 Paula has completed numerous research studies, invited keynote presentations and strategic positive change programs for government, private organisations, schools and the wider community, as well as published scientific and conference papers. Apart from presenting regularly in Australia, over the past few years, Paula has been invited to present in Hungary, France, Hong Kong, Singapore, USA, Canada, New Zealand, United Kingdom, and Doha on her work with schools, universities and organisations. Toni Noble PhD is a leading teacher educator, educational psychologist, researcher, author, keynote speaker and global consultant with expertise in student wellbeing, effective teaching, positive school communities and positive psychology and education. She is Adjunct Professor in the Institute for Positive Psychology and Education at Australian Catholic University. She specialises in synthesising the science and research of positive and educational psychology into simple, practical tools for classroom practice. She is widely known in education as co-author of the multiple award winning BOUNCE BACK! Wellbeing & Resilience Program (now in its 3rd edition), The PROSPER School Pathways for Student Wellbeing. Policy & Practices, HITS & HOTS (High Impact Teaching Strategies & Higher Order Thinking Strategies) on student engagement, Eight Ways At Once on curriculum differentiation & other books. Toni has worked with educators in the UK, USA, South Africa, Jordan, Greece, Bhutan, Singapore, Hong Kong, Cambodia, Italy, Denmark and Hungary. Her Australian Government projects include the National Safe Schools Framework, resourcing the Student Wellbeing Hub and the Scoping Study on Approaches to Student Wellbeing. 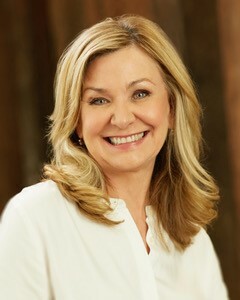 She has a Australian Government citation for her outstanding contributions to University teaching; has been on the Advisory Board for the National Centre Against Bullying since its inception and on the International Expert Group to develop a new global development paradigm for the United Nations to promote wellbeing and happiness as a global goal.